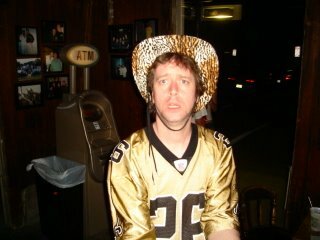 PAPA ROBBIE.NET: BOTHA DROPS DEAD...FINALLY. I can't say that I'm sorry that this old fart finally croaked. JOHANNESBURG, South Africa (Reuters) -- Former South African President P.W. 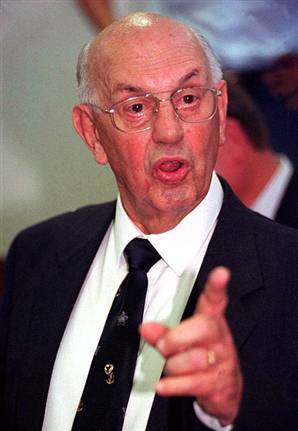 Botha, the defiant face of white rule at the height of the anti-apartheid struggle, died at his home on Tuesday aged 90, the South African Press Association reported. "Botha died at home, peacefully," SAPA quoted a member of his security staff, Frikkie Lucas, as saying. Botha, known widely as "The Great Crocodile" for his adamant stance against black rule in South Africa, died at his home in Wilderness, about 350 km (220 miles) east of Cape Town, SAPA said. Botha, who presided over some of the worst excesses of the apartheid era during the 1970s and 1980s, had been in hospital in October for what were described as routine tests. He was toppled in a cabinet rebellion in 1989 and replaced by F.W. de Klerk, who repudiated almost everything the finger-wagging hardliner had stood for, including the laws that were the foundation of apartheid. De Klerk later guided South Africa's white rulers through the delicate negotiations that ultimately brought the African National Congress (ANC), led by Nelson Mandela, to power in multi-racial elections in 1994. Although Botha's security forces killed more than 2,000 people and an estimated 25,000 people were detained without trial and often tortured, he refused to apologize for apartheid and denied he had known about the torture and assassinations. Known for his frequent defense of white rule in South Africa, Botha remained unrepentant to the end. Asked in a television interview what would have happened if the black majority took control in 1948 -- when Botha's National Party took power -- he remained unwavering. "I think by this time we would have been in the drain already," he said. He declined to appear when summoned by the state-appointed Truth and Reconciliation Commission (TRC), which in its final report in 2003 blamed him for much of the horror of the last decade of white rule. Since leaving office he had lived a quiet life with his second wife Barbara in a lagoon-side home on the Western Cape coast for almost two decades, occasionally emerging to launch broadsides at the ANC. The ANC, which under President Thabo Mbeki continues to lead the country, issued a brief statement on Botha's death. "The ANC wishes his family strength and comfort at this difficult time," the party said. Him and Strom are tight....in hell.